Accelerometer is a device that is basically used to measure the proper acceleration of an object. The first accelerometer was invented by English physicist George Atwood in 1783. Ever since then the accelerometer has evolved in design, size and components into what it is today. Presently, there are different applications for accelerometers and they have taken different sizes and forms. What does an accelerometer have to do with a smartphone? The concept of introducing an accelerometer into a smartphone was a ground breaking move. Though several phone manufacturers like Nokia, Samsung and LG introduced the same, Apple stole the show in 2010. Manufacturers took the technology a few steps ahead by coupling the 3-axis accelerometer with a gyroscope to help implement location and navigation services and help improve photo stabilization. By integrating the accelerometer with a slew of applications, Apple opened up a whole new avenue of prospects for developers. The purpose of installing an accelerometer in the phone was for the sensors, to notice the tilt of the device and figure out which way the screen was. This enables the device to automatically set the screen according to how the user holds it. One of the main features that set the iPhone a class apart is its graceful integration of sophisticated multiple sensing technologies. 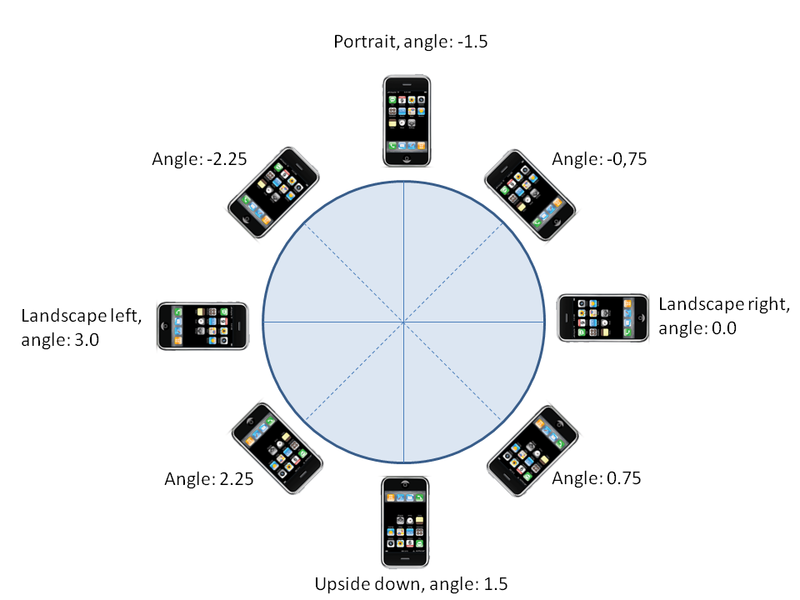 Complete with a full 9 Degrees-of-Rotation the iPhone 4 was the first portable consumer device to incorporate the three-axis accelerometer alongside a three-axis gyroscope and a three-axis electronic compass. These features gave the device improved capabilities like better rotational motion sensing, image stabilization, dead rocking for GPS and Gaming. It also enhanced other features like gesture recognition and enabled better location and navigation features. These improved hardware capabilities granted developers the potential to creatively leverage them for developing innovative and resourceful applications. Below is a list of applications that have cleverly leveraged the accelerometer. Apps like iTM Tilt, Cosmovox, RjDj and TouchOSC use the accelerometer to control sound. These apps are used to manipulate or generate sounds to enhance music production softwares. iWalk, JumpROpe, iSteps and Pedometer are Apps for the health conscious. These apps use the accelerometer of the iPhone to calculate the steps users take while jogging, walking or running. The app JumpRope works like a virtual jump rope where you move the phone as it was the handle of a jump rope. Camera apps like Moon Lighter, Camera Art and Night camera use the accelerometer to trigger the shutter when the camera is the most stable or take long exposure shots when the camera is in motion. Games – several games have used the features of the built-in accelerometer to enable motion based or gesture recognition based games for an exciting and interactive gameplay. In the wake of all these features about the built-in accelerometer, the iPhone 5S has triggered a series of controversies. Their latest model teardown by Chipworks shows that the manufacturer has opted for a new accelerometer. The 5S is powered by an M7 Co-Processor with consists of a 3-axis accelerometer, a 3-axis gyroscope and a 3-axis electric compass. Surprisingly this time Apple has replaced the regular MEMS accelerometer by STMicroelectronics with a Bosch Sensortech BMA220. Recently several forums and blogs discussed the issue of the 5S accelerometer errors for as much as 5-6 degrees off level. The teardown points to the new MEMS as a reason for these errors. The Bosch component sets the zero-g offset or bias at +/- 95mg, whereas the previous MEMS set it at +/-20mg. Luckily for Apple this error can be fixed; a large component of the bias error in the accelerometer does not change making it possible for developers to work around the problem. They would have to incorporate a calibration procedure into the apps to rectify the difference. Keeping all these glitches aside the accelerometer continues to empower and encourage games and applications developers across the globe to build innovative apps.